kansas is one of two major conference teams with four losses this season. the other is villanova, who plays in the big east (which is the 4th best conference per KenPom). kansas plays in the Big XII, the nation’s best conference, and has played the third toughest schedule in the entire country. and they still only have four losses. all of which came on the road or at a neutral site to top 85 teams. 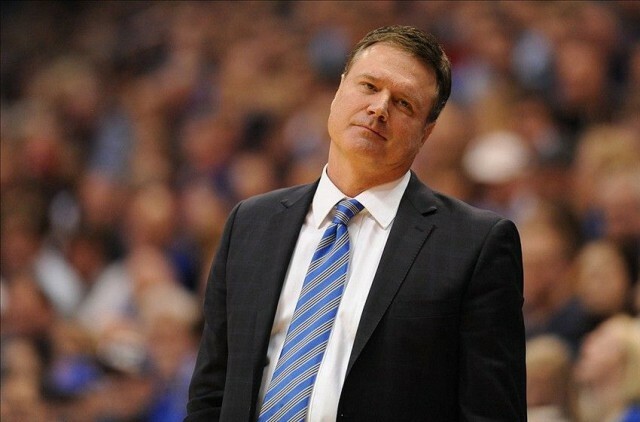 the jayhawks havent lost (looks around)…they haven’t lost in a month. that includes wins over kentucky and at oklahoma and baylor. on january 13, wisconsin and interim coach greg gard were 9-9 overall, 1-4 in the Big Ten, and ranked #63 in KenPom. now, they are 18-10 overall and 10-5 in the conference. they’ve won 9 of 10, including wins at maryland, at iowa, and over michigan state at home. their only loss in that time (peeks around the corner to see if anyone is looking) was at michigan state. they are all the way up to #31 in the KenPom rankings. they start 3 players who were rotation players on a final four team last year. you know when wichita state’s last win over a top 50 team was? yeah, it was utah, at home. you know when they last beat a top 50 team on the road? hasn’t happened all season. their best road win is at evansville (#83 in KenPom). did you know iowa is 4-4 in their last eight games? does that mean anything to you? 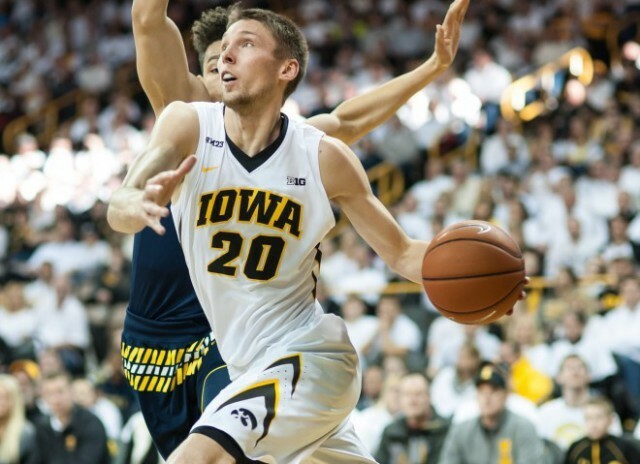 remember 2014 when the hawkeyes finished the regular season 3-6, then lost their first Big Ten tourney game, and got bounced in the 1st round of the NCAA tourney? i’m not saying this team is the same as that one…but it’s something to think about. remember a few weeks ago when former grantlander mark titus reminded us that in today’s ncaa, you only win the championship if you’re in the top 20 of defensive efficiency and have an elite guard on your roster. the defensive side of things bounces kentucky (44th), duke (84th), iowa (46th), miami (36th), indiana (62nd), iowa state (133rd), and north carolina (30th). top defensive teams without an nba capable guard? west virginia, purdue, cincinnati, and north carolina (again). Header image via Getty Images.